I have so much fun sharing recipes that were a gift from friends. Yes, I mean a gift in more ways than one. 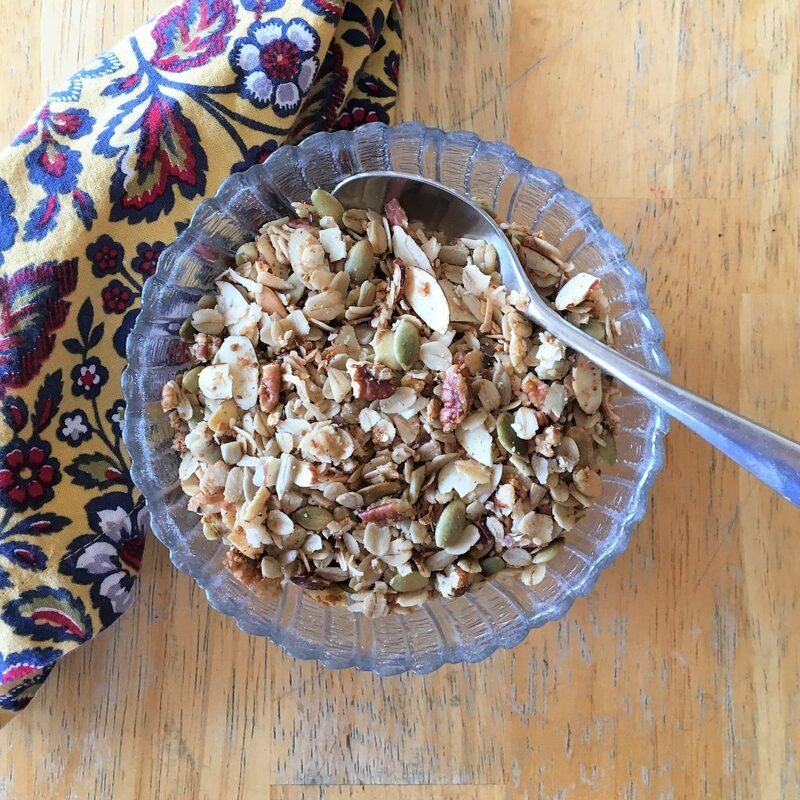 This recipe for Cora’s Homemade Granola was given to me by a friend when we lived in Northern Virginia, who was able to get the recipe from the Bed and Breakfast where it originated. 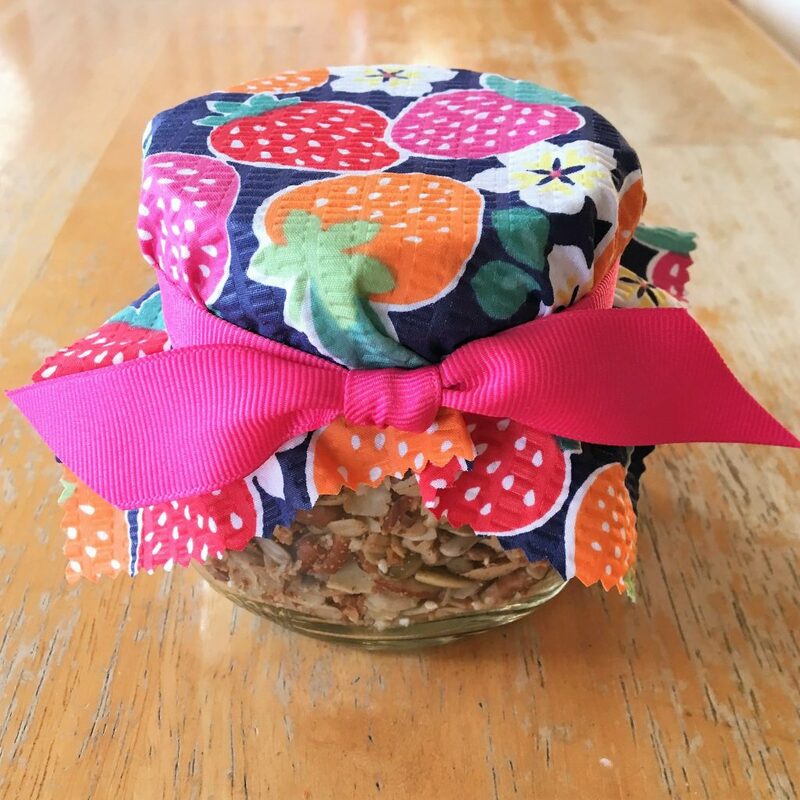 She actually gave me and the other ladies in our Bible Study a beautifully decorated jar filled with this amazing granola one year for Christmas. So, you see, the granola itself was a gift, but then having her share the recipe was the second gift. I consider recipes like this one for Cora’s Homemade Granola a gift because it is so special to the person who made it. There may be a story that is behind the recipe. Maybe a memory of a special vacation, event or holiday. Maybe a recipe that was passed down in someone’s family. Or maybe just a recipe that was found in a cookbook or magazine that has become a tried and true recipe. Yes, I do consider every shared recipe a gift. That is why I love passing them along to you. Now, every time I make this recipe for Cora’s Homemade Granola, it brings me back to that special group of ladies and the Christmas we shared this wonderful granola. It also makes me automatically think of the years we lived in Virginia and the number of amazing small restaurants, country inns and bed and breakfasts that the state is known for. 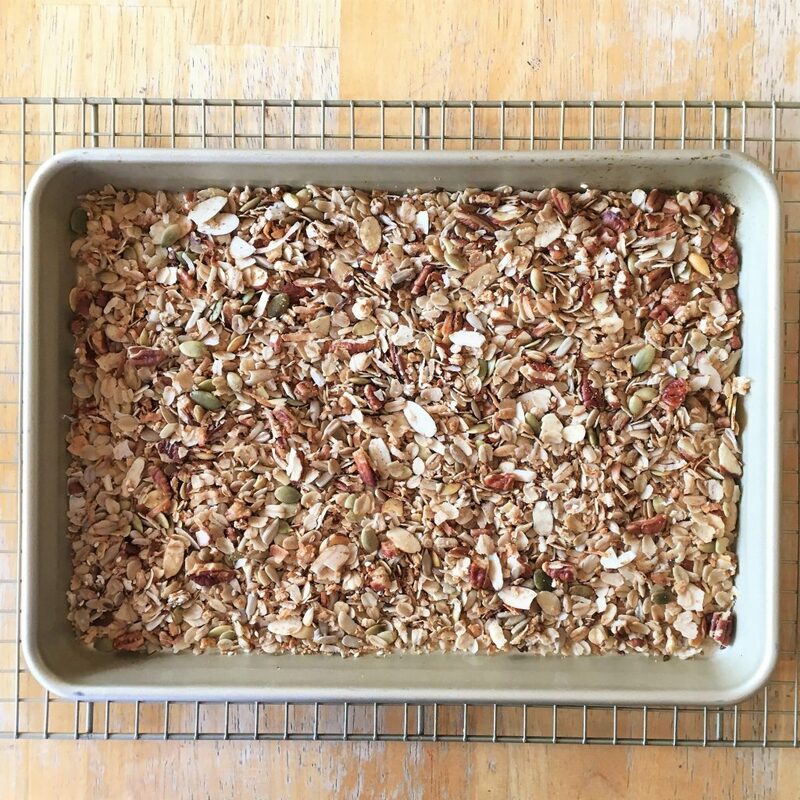 This recipe for Cora’s Homemade Granola is so incredible because it is loaded with so many yummy ingredients like oats, seeds and nuts and kissed with a bit of sweetness from coconut and maple syrup. This recipe also makes a ton and is one of the easiest homemade food gifts to give year round. 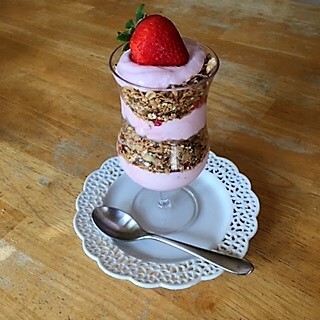 Oh, and I can’t forget, you can make the recipe and then freeze it, so you have homemade granola made all the time…ready to be given as a gift or for your morning yogurt or fruit. It can also be incorporated into other recipes like fruit crisps by combining it with some butter and using it as the crumble in the recipe. It can be used in recipes like my Ice Cream Cake by adding a crunchy layer between layers of ice cream, cookies and toppings. Or, just enjoy Cora’s Homemade Granola as a great snack or lunch box favorite. However you choose to enjoy this amazing granola, consider a gift that has been passed along to you. Happy Gifting from the Memorable Kitchen! Mix all ingredients together except oil and maple syrup. Mix oil and maple syrup together in a small bowl. Slowly blend together with dry ingredients. Lay out on baking sheets and bake at 325 degrees for 20-25 minutes, stirring every 10 minutes. Remove from oven and stir once more. Let cool in pans. Once cooled, put in a large bowl and mix in any dried fruit of your choice. Refrigerate or freeze to keep fresh.